Whenever I get a craving for Chinese food, I always find myself wandering aimlessly in Manila’s very own Chinatown. 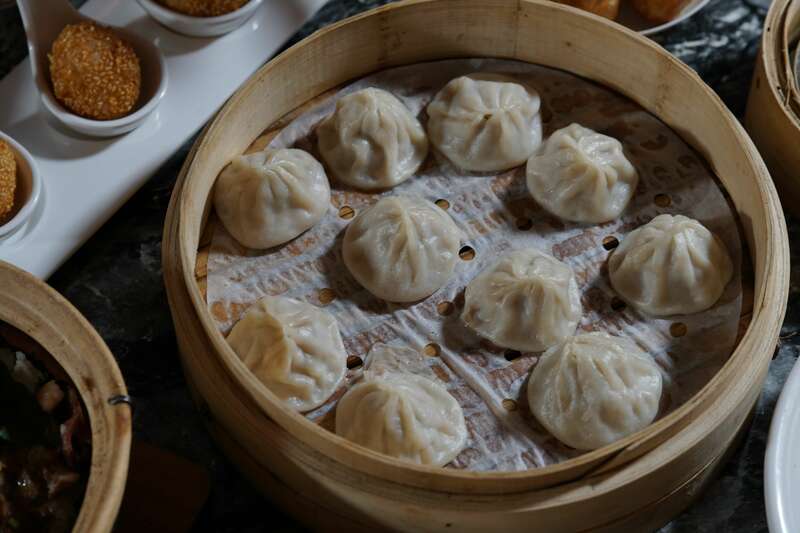 Being one of the world’s oldest Chinatowns, I trust that I can always find something here that suits what I’m looking for–from dumplings to spring rolls, from noodles to roasts, and even to souvenirs I can carry with me home to share with the rest of the house. Speaking of souvenirs, I always find myself carrying home a box or two of Eng Bee Tin’s pork floss hopia–my little sister’s favorite–whenever I’m in Chinatown. 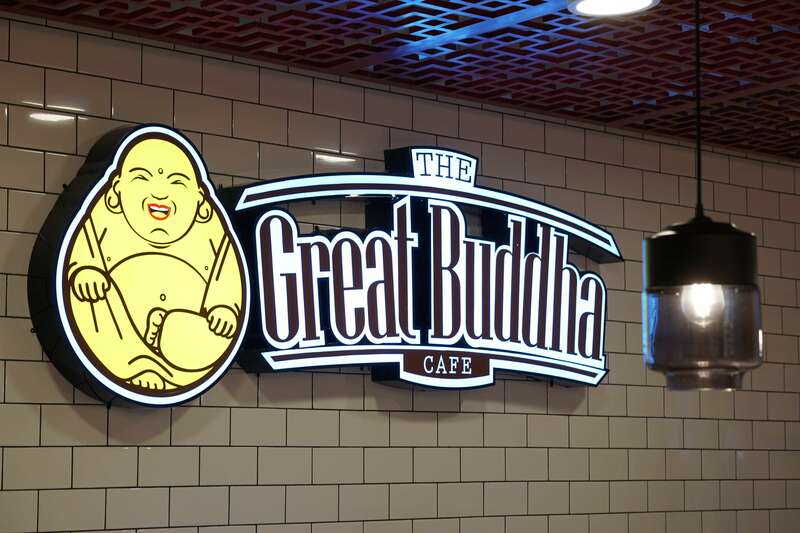 The same people behind Eng Bee Tin recently opened another restaurant to join Cafe Mezzanine and Chuan Kee called The Great Buddha Cafe. 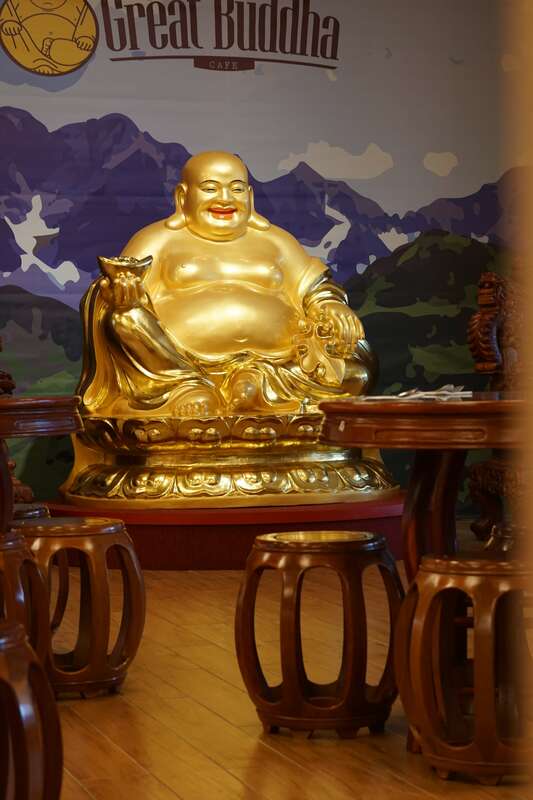 Located just on the 2nd floor of Eng Bee Tin’s flagship store, The Great Buddha cafe specializes in Hong Kong Chinese cuisine and dimsum, and houses a 1.2-ton golden buddha symbolizing happiness, plentitude, and contentment. 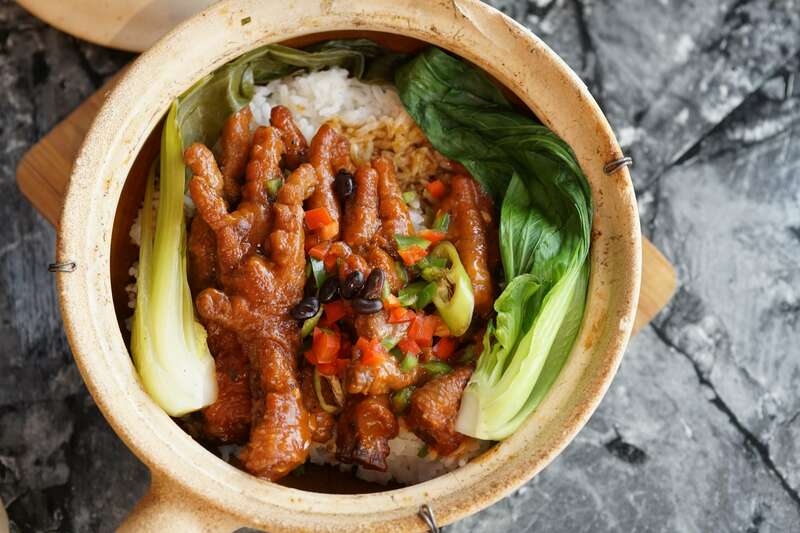 The restaurant exudes the vibe of a cozy Chinese home and can seat a capacity of about 40 people in tables of 4 people each. 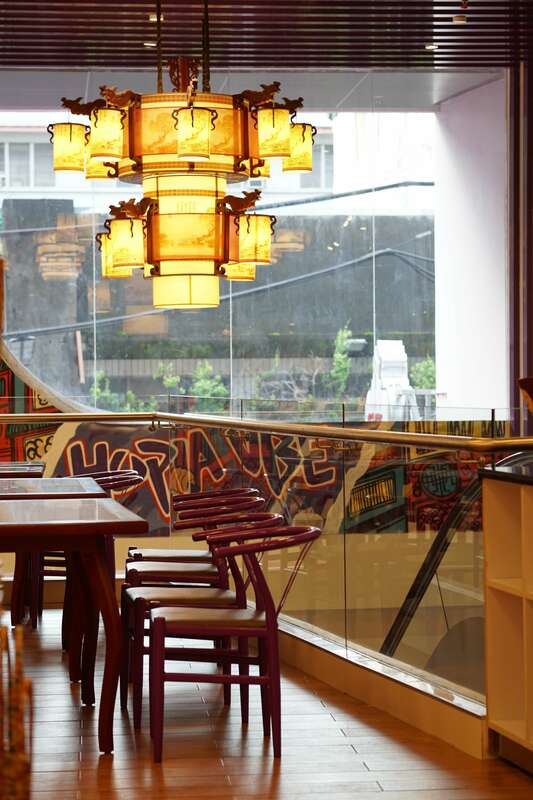 Keeping to the theme of Eng Bee Tin’s famous Ube Hopia and its other restaurant, Cafe Mezzanine, The Great Buddha Cafe bears that same distinct violet hue all over its decor paired against golden brown Chinese accents and furniture. 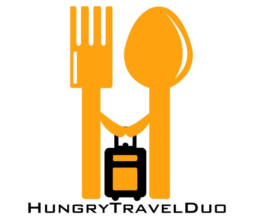 Their menu is divided into 6 major sections: Dimsum, Claypot Rice, Roastings, Short Orders, Noodles and Congee, and Desserts and drinks. 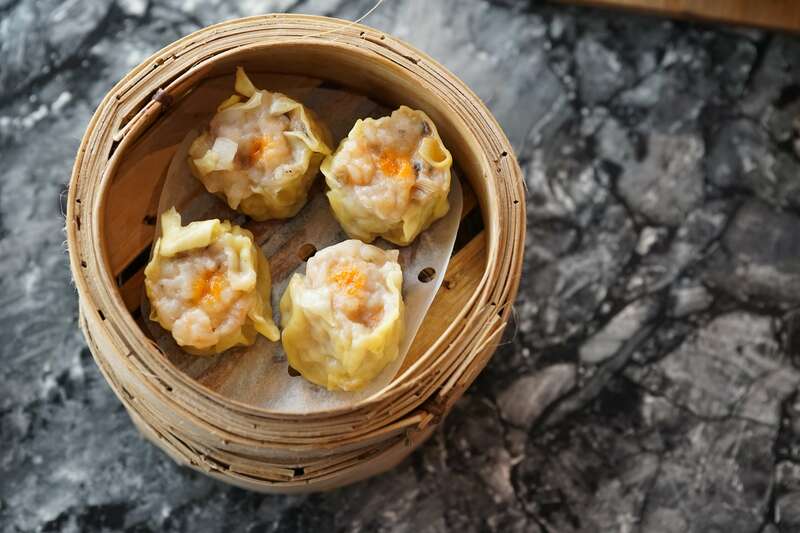 Under Dimsum they serve familiar classics like Pork & Shrimp Siomai, Xiao Long Bao, Shrimp Hakaw, and Pan-Fried Dumplings. 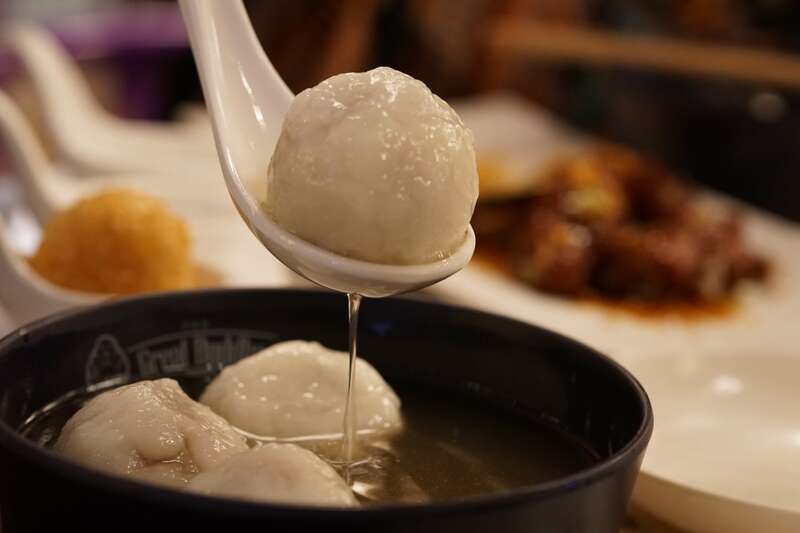 They also serve a few unfamiliar dishes like the Ham Sui Kok which was a glutinous rice dumpling with a savory meaty filling–think mochi but with meat in it! 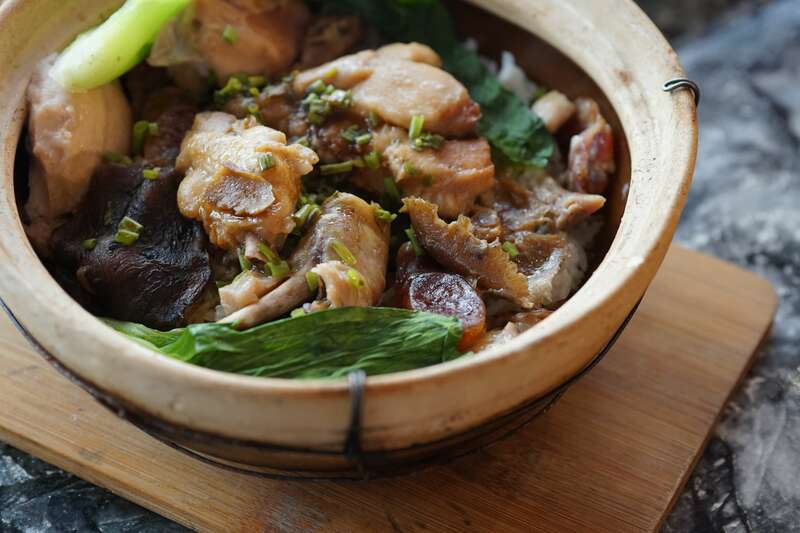 Under Claypot Rice, the Beef Tendon is their best seller and it’s easy to see why with its pleasant sweet-soy flavor. 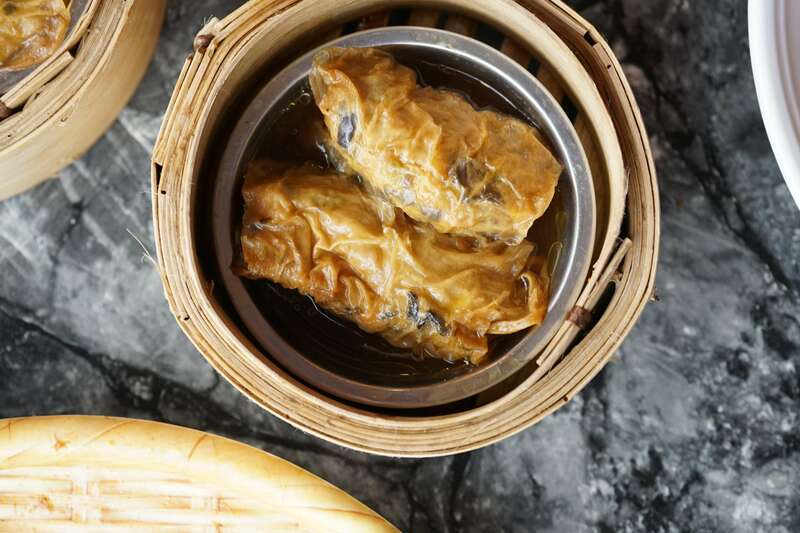 I’ve been told that the “fatty” parts aren’t really fat but are tendon or “litid” cooked until it’s so tender that the texture is reminiscent of fat. 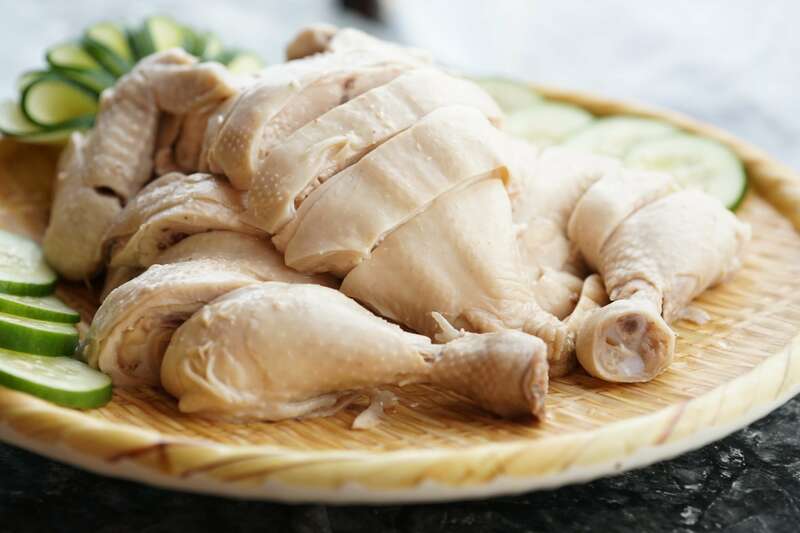 Under Roastings, The Great Buddha Cafe carries all the usuals I’d expect to see in a Chinese restaurant–Hainanese Chicken, Soy Chicken, and HK Style Honey Asado. 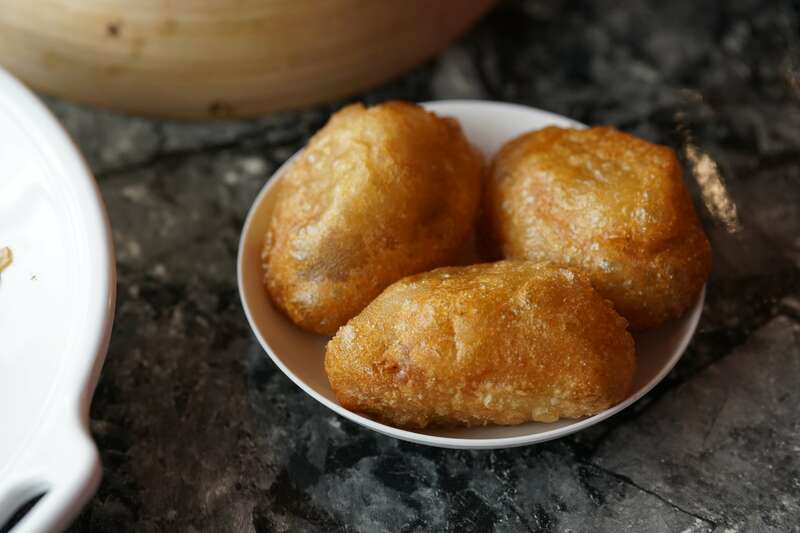 Happy to point out that the HK Style Asado is something that you should try while you’re here, it has a sweet taste that doesn’t seem to come from sugar but more like Chinese dates which gives it a distinct taste from other Asado dishes. 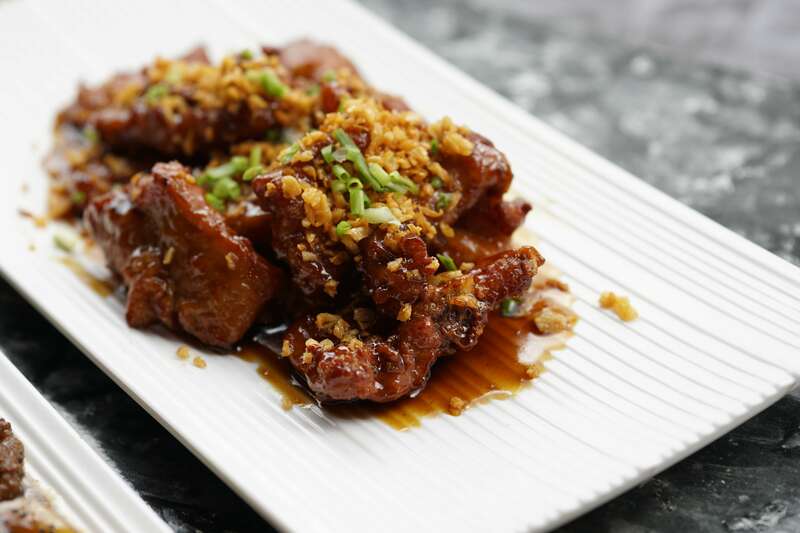 Rounding out their savory menu are their 7 Short Orders–Stir-fried Beef in Black Pepper Sauce, Pork Ribs Glazed with Honey Garlic Sauce, Fish Fillet–Tofu Hotpot, Sweet Chili Fish Tofu, Stir-Fried Radish Cake with Pork Floss, Lettuce in Oyster Sauce and Spinach with 3 kinds of Egg. 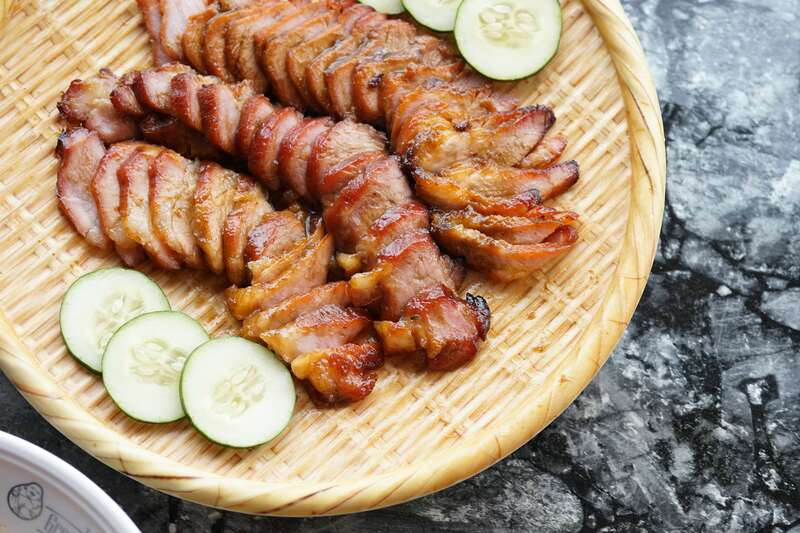 Of which, I only got to try the Pork Ribs Glazed with Honey Garlic Sauce which had a nice and crispy outer skin which went great with the sweet-soy flavor of the sauce. 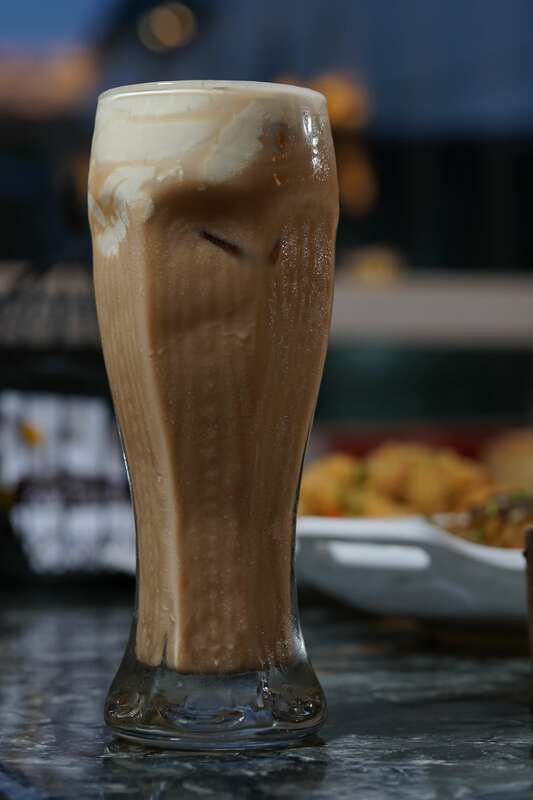 Lastly, but certainly not the least are the Dessert and Drinks. 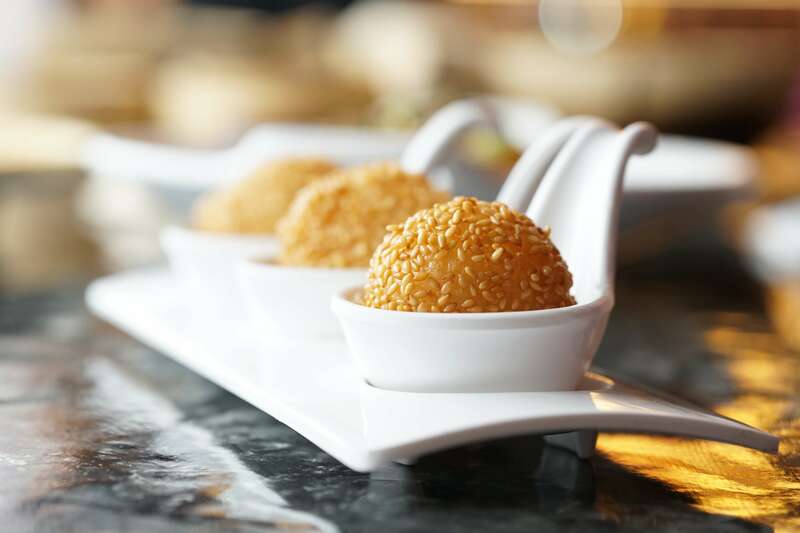 I got to sample the Golden Custard Buchi, Peanut Balls, and The Great Buddha Cafe’s signature Cream Cheese Nai Cha. THBC’s Buchi certainly can rival Chowking’s own Bean paste Buchi with a milkier center and its Cream Cheese Nai Cha’s milk base could certainly compete with Gong Cha’s own–though I may prefer Gong Cha’s more sweeter Cream Cheese top, I strongly recommend you try both and compare these for yourself. 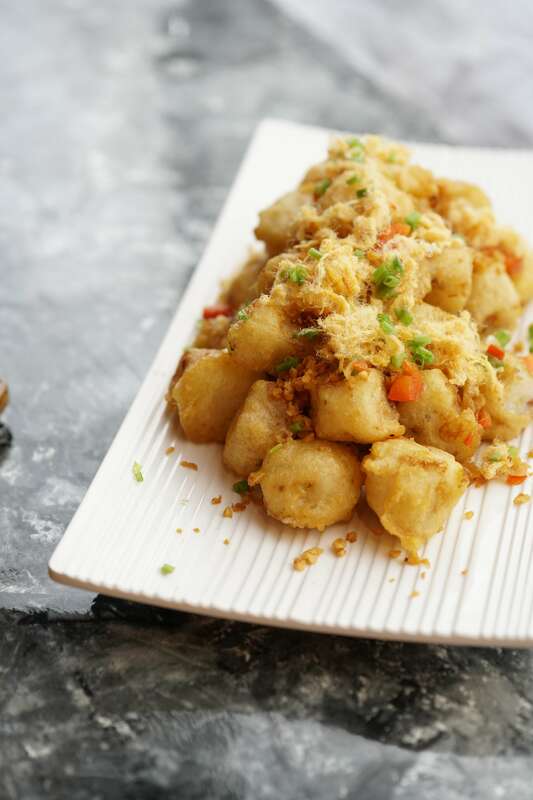 While still in is infancy, The Great Buddha Cafe offers great-tasting affordable Chinese favorites along busy Binondo street. 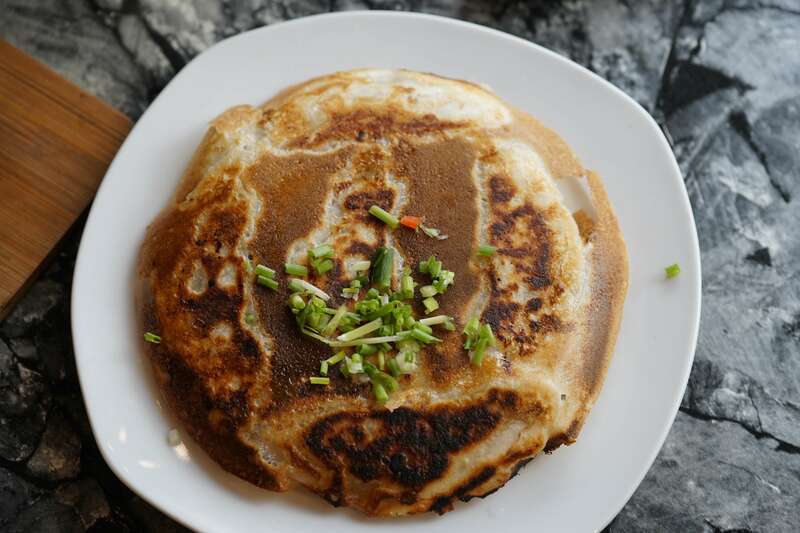 It’s still too early to tell if it will join Chuan Kee or Cafe Mezannine’s iconic status in Chinatown’s culinary scene, but these early experiences do look promising.